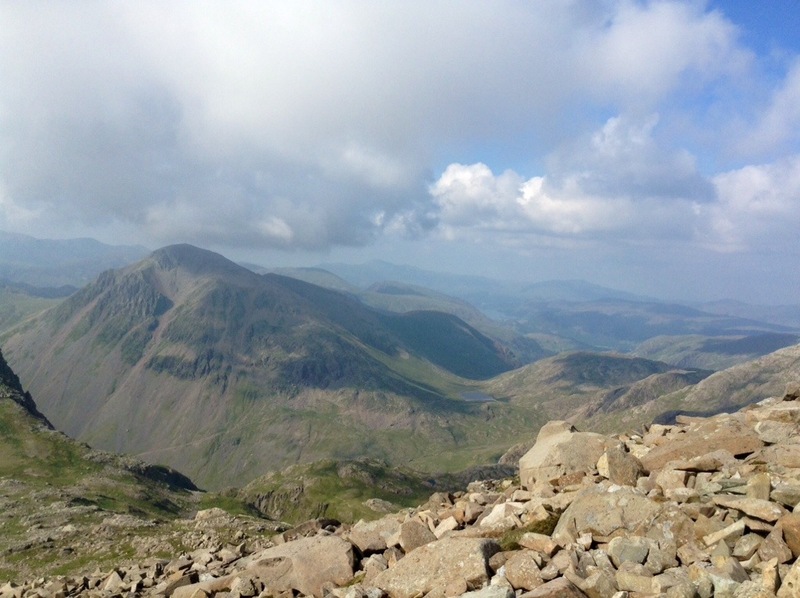 Last week I had the absolute pleasure of trekking up Scafell Pike. 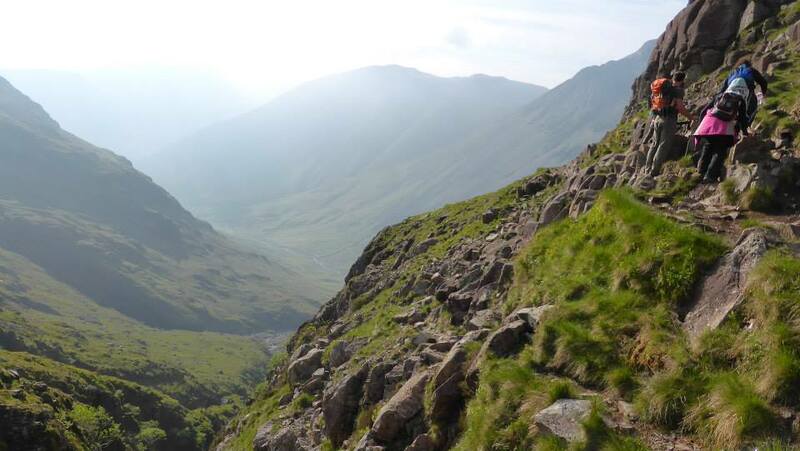 When I put it like that it sounds like a straightforward ascent up one peak, and back down again. 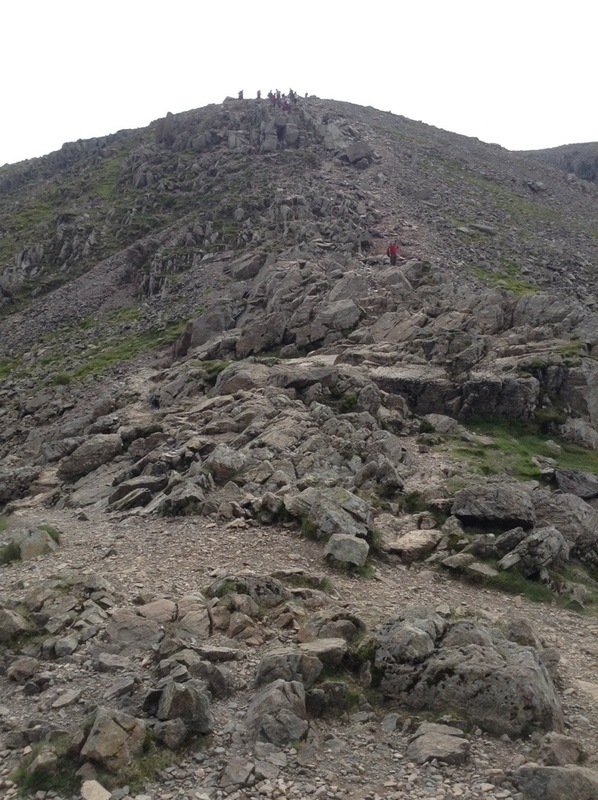 But actually there are about 7 peaks on the way up and down, at least along the route we took. 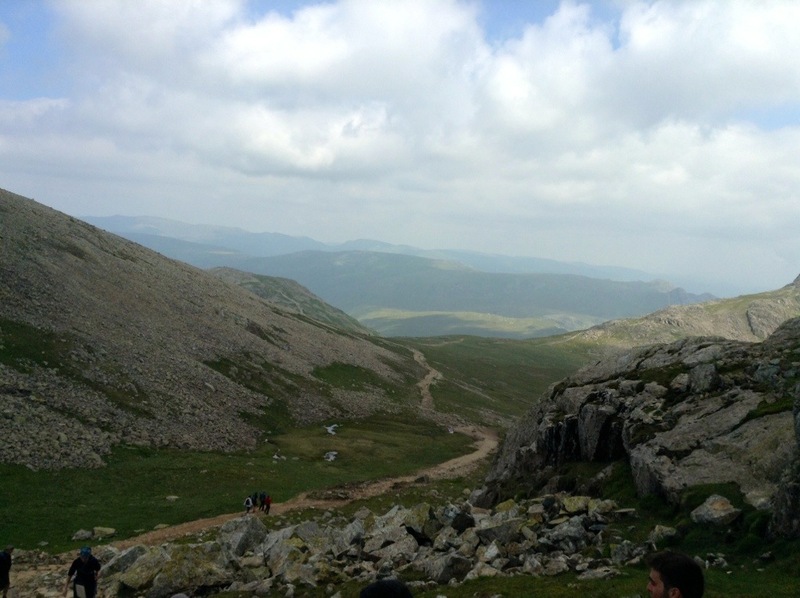 I went with a group as part of a sponsored hike for Syrian orphans (didn’t know any of my fellow hikers before the trip, but was really glad to get to know them – a cracking group!). 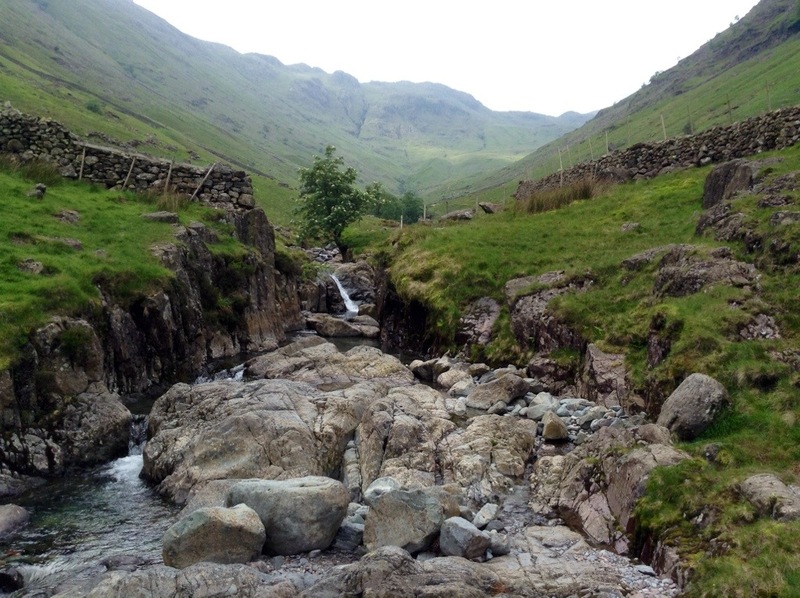 We started off at Seathwaite farm, making our way up through green valleys, along the old stone Stockley Bridge, and passing many springs and streams. 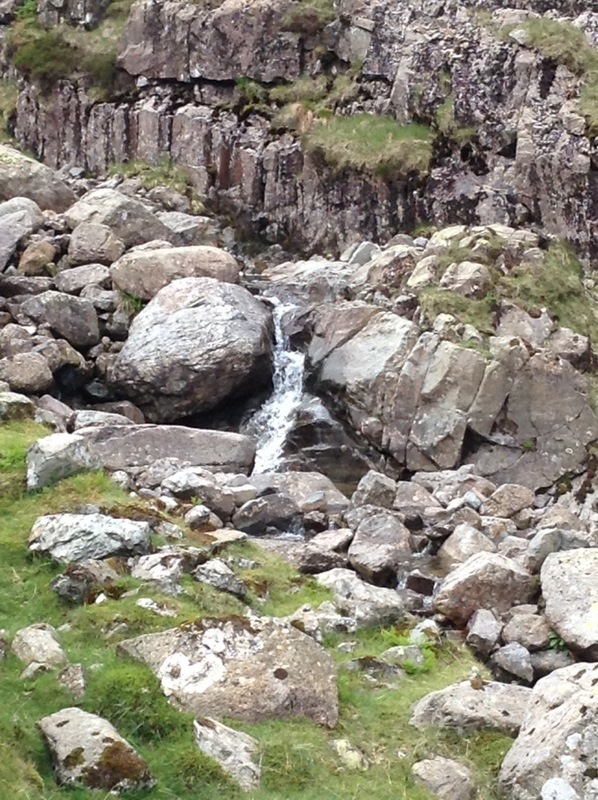 I filled my bottle up at one of them – probably the freshest water I’ve ever drunk! 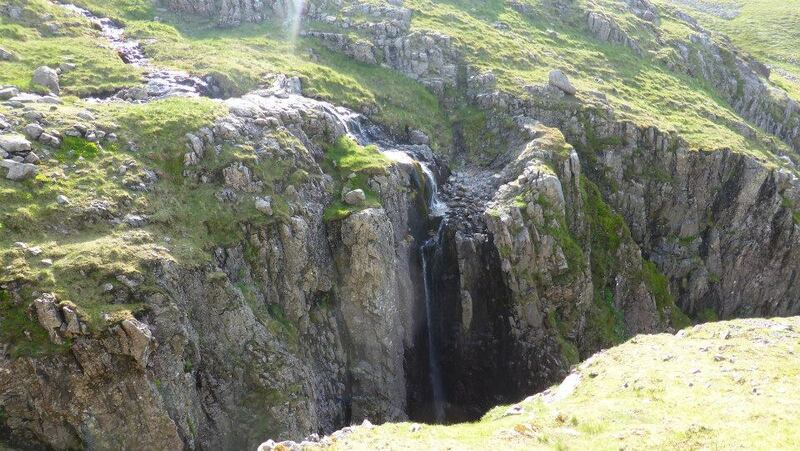 This route, however, happened to be one of the more difficult ones up Scafell Pike. 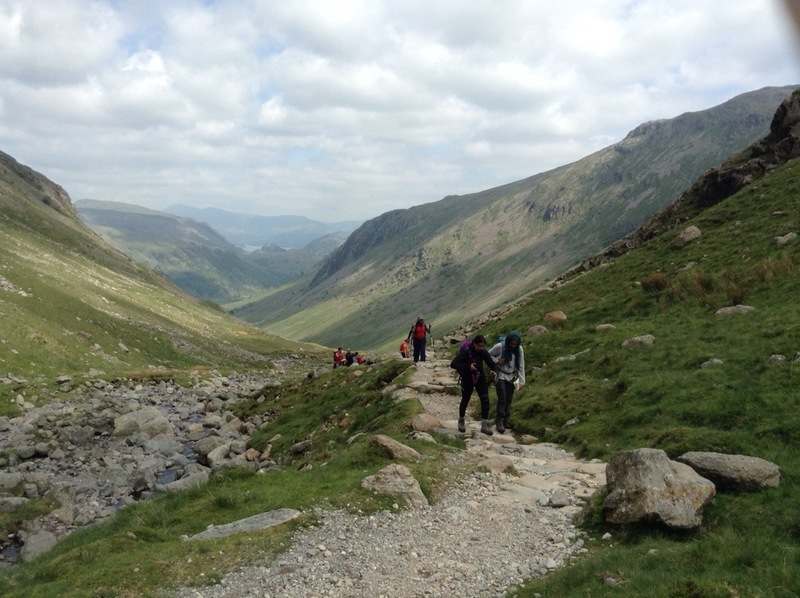 So the gentle valleys soon gave way to a craggy ascent, which was extremely steep towards the end, with a very difficult boulder field to traverse. 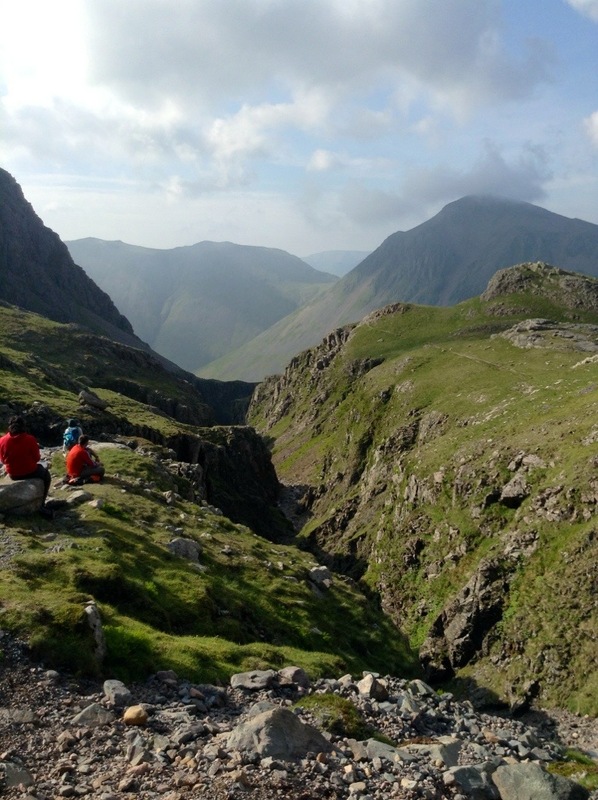 But as is often the case, the tougher the route, and the more inaccessible, the more breathtaking the view! Although it was tough, I’d say the variation in the terrain took away any sense of fatigue – there was always a new type of challenge, and the fact the gradient often dipped and descended before rising again meant you weren’t constantly climbing uphill, which I think made it a really interesting and enjoyable trek. 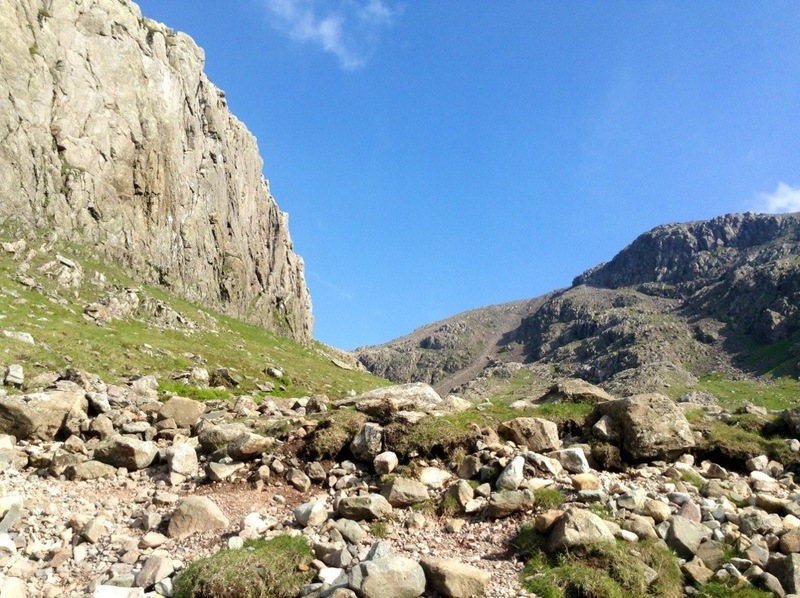 You probably do need a walking pole to navigate the boulder field, just to keep balance when you’re leaping from one weirdly shaped jaggedly rock to the next. 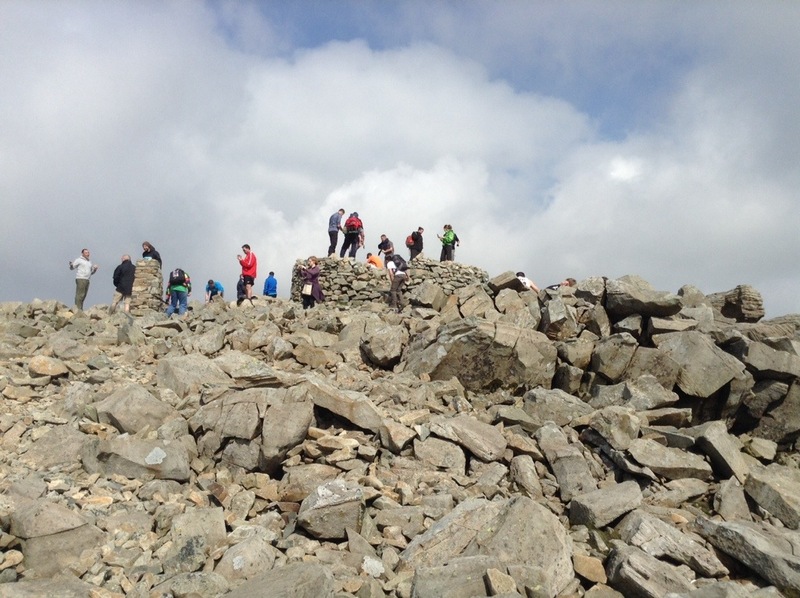 The view at the top makes it all worthwhile! 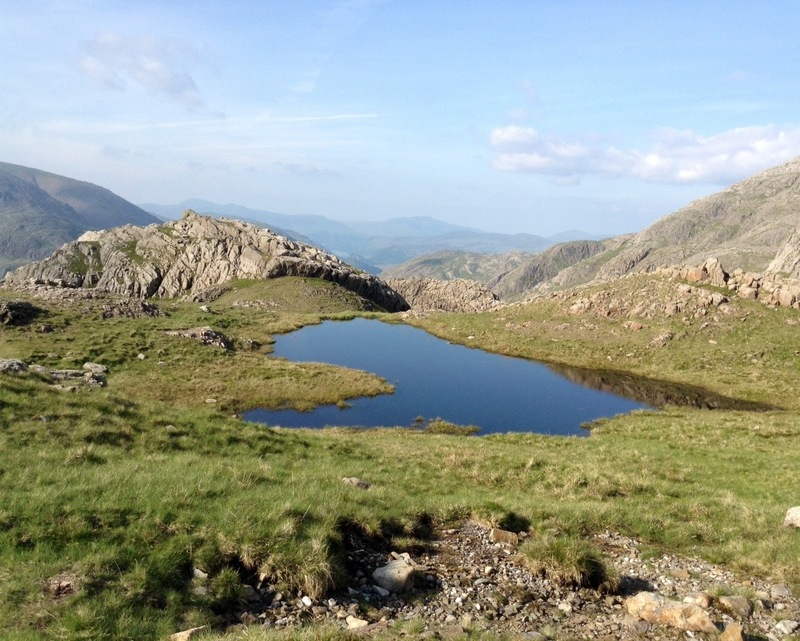 I caught sight of three lakes in the distance below, sparkling under the afternoon sun. 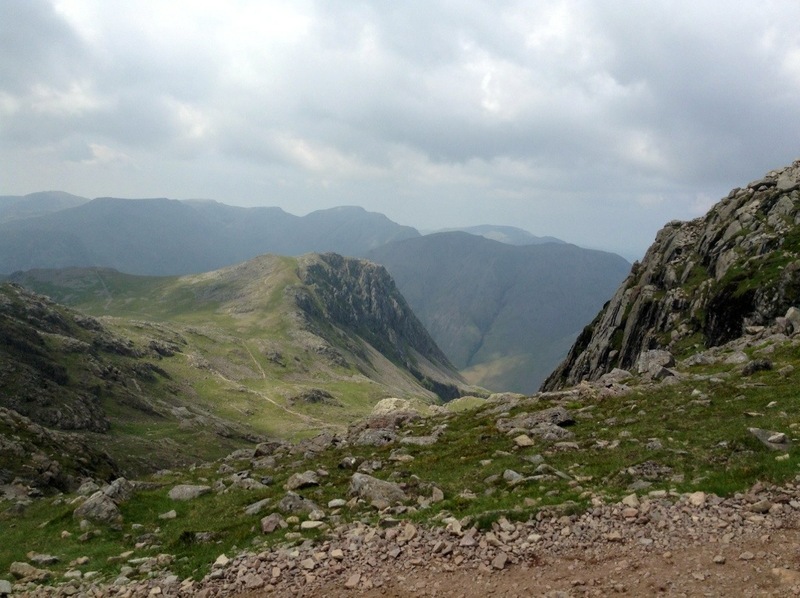 We took an alternative route down, the scenery truly stunning… But it came at a price – some very steep descents, and VERY narrow rock ledges to shuffle across before the land became less hazardous and a bit flatter. 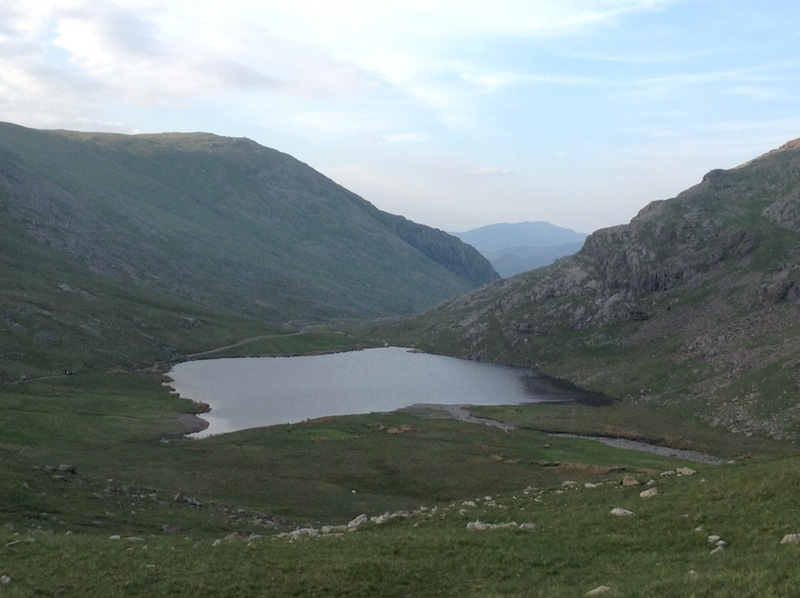 As we neared the end of the trek, we finally approached a couple of the beautiful lakes I had seen way up from the summit. They shimmered bright azure, graceful and utterly serene. 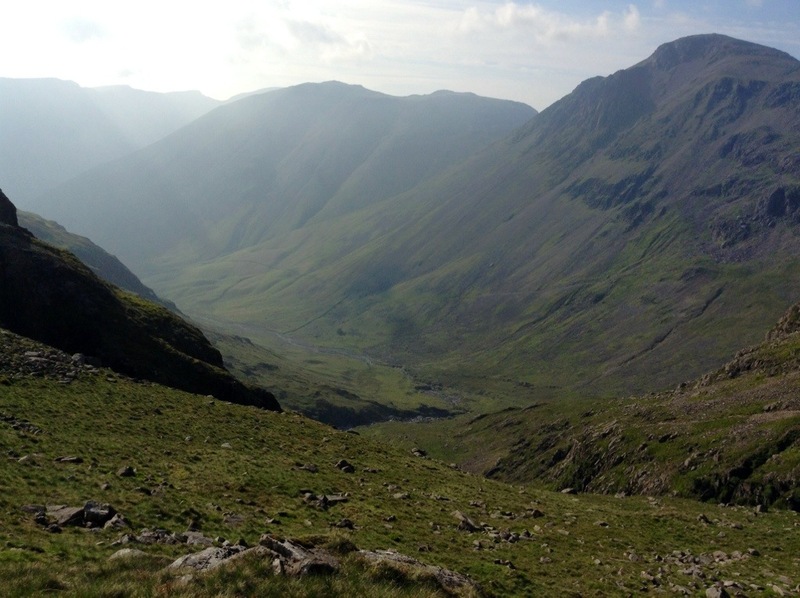 I would trek up Scafell Pike again, without doubt, and next time I’d try to start the hike the other way around – passing the lakes on the way up, just to view them under the morning light when I think they’d look even more spectacular. 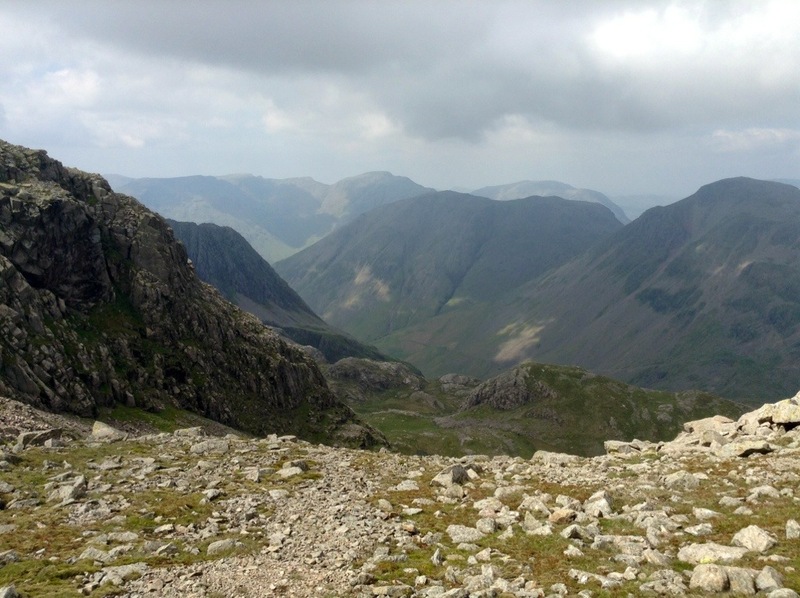 The Cumbrian mountains did not disappoint – and there is plenty more to explore: other routes up Scafell Pike, and indeed other peaks. 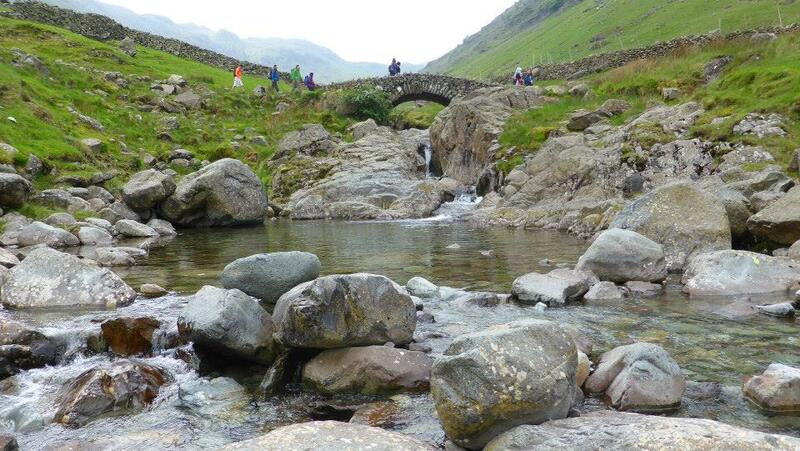 I look forward to my next trip to the Lakes; hopefully soon! 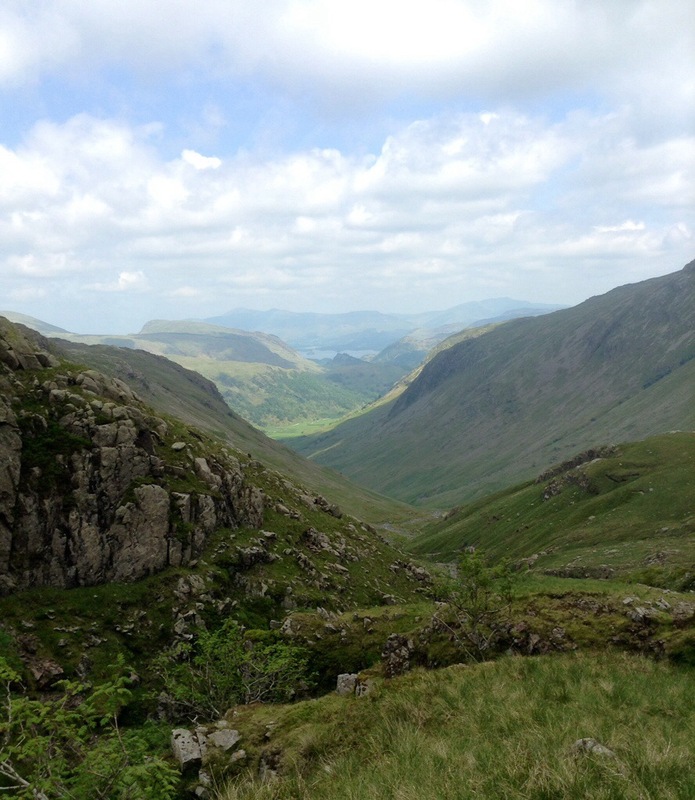 This entry was posted in Hiking, Nature and tagged Climbing, Cumbrian Mountains, Earth and Oak, England, Lake District, Lakes, Landscape, LOTR, Misty Mountains, Mountains, Nature, Photography, Scafell Pike, Scenery, Tolkien, Valleys. Bookmark the permalink. 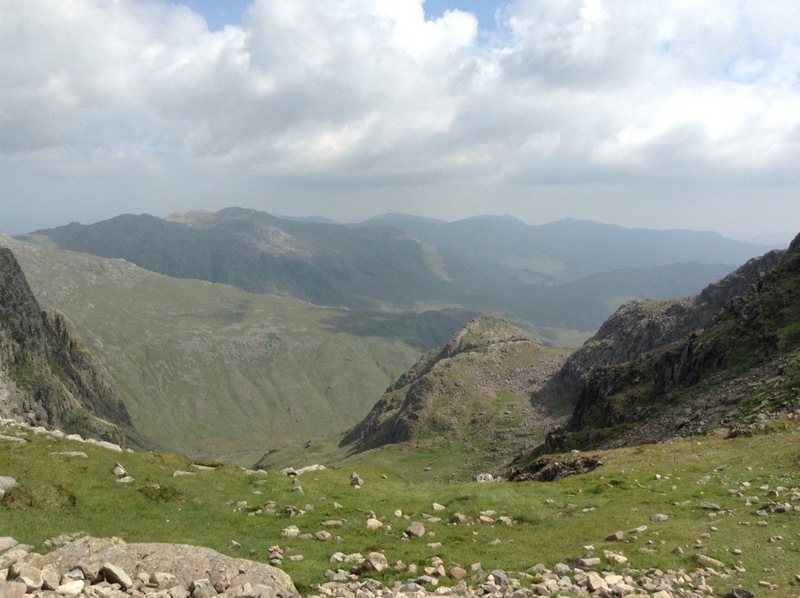 Magnificence trumps desolation in all of these views! 🙂 What a long walk. Whoa! Congrats for making it the whole way, while still managing to take fab shots! Thank you very much Uncle Tree! most kind 🙂 enjoyed reading the poetry on your page!